Hair is Suitable to Cut, Razor, Clip, Shampoo, Blow-Dry, Straighten, Curl, Perm. Colour, Tinted and Can be Sprayed and Re-Washed. Female Face -The Female Face is Subject to Change Depending on Batch. Gesichtsmassage Chemische Peelings Masken. Unsere Kursinhalte sind ausschliesslich für den Präventiv Bereich. Sie lernen bequem von zu Hause in Selbstdisziplin. Eine Betreung oder Überprüfung findet nicht statt, da unsere Schulungen ausserhalb der Heilkunde liegen und keinen Arzt oder Heilpraktiker ersetzen! Ideal to display wigs, hats, scarves,jewellery ,Wigs or hats. Suitable for designing different hair style, hair salon, display wigs, etc. In good used condition. These great mannequin heads are perfect for everything from displaying wigs, hats and prosthetic's. Tête à chapeau matière synthétique, tête articulée de haut en bas, bon état. 1 x Mannequin Head. Material: High-temperature Synthetic Fiber Hair. Because of all our hair by handmade, so, it is inevitable that there will be problems with hair falling off. pls no worry! But can not dye, bleach and make up. BLACK VELVET LIKE MANNEQUIN HEAD. 12PC BLACK VELVET LIKE MANNEQUIN HEAD. CHECK OUT OTHER FOAM MANNEQUIN HEADS WE HAVE. 12PC FEMALE MANNEQUIN HEAD. 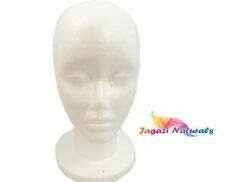 1PC MALE MANNEQUIN HEAD. 8PC MALE MANNEQUIN HEAD. GREY VELVET LIKE MANNEQUIN HEAD. Testa di manichino da donna, per la creazione e l’esposizione di parrucche. prodotto usato..
20" Female Salon Style Mannequin Bust. Perfect for: Long or Short Hair Wig, Jewelry, Hat Display. 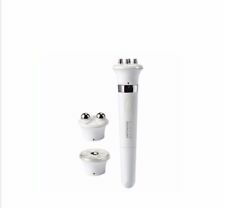 made of PVC material, life-like look skin. durable and stable display piece. Tessa deluxe elite competition shoulder mannequin. Light brown, 24" hair length. 100% human hair. Real eyelashes. Pierced ears. Mount (if shown) is not included. Hairart Cosmetology Practice Mannequin Head. Lovely condition. Lovely condition. Item is in lovely pre-owned condition. I don't know much about these but the hair seems fine and appears to be real. See pics for approx length, etc. HAIR MAY FALLS A BIT WHEN YOU RECEIVE, IT IS NORMAL FOR HAIR TRAINING DOLLS. PROFESSIONAL 100% Real Hair HAIRDRESSER'S TRAINING HEAD, 100% real remy hair in order to enhance the reality when cutting the hair. I t is 100% human hair. Photos are always the best representation. This unit is used condition. Schritt für Schritt wird Ihnen alles erklärt. Dabei auch viele Farbige Beispiel-Bilder. Es wird das was dazu gehört, detailliert beschrieben. · Desinfektion. Unsere Kursinhalte sind ausschließlich für den Präventivbereich. Sticker on the back of neck: "HAIR is cleaned in boiling water for 6 hours and undergone chemical processing.". Hair Length: 20". 100% human hair. High hair density. Material - Mix with 40% Real Human Hair and 60% synthetic hair, 140% Heavy Hair Density. Soft& No Shedding - New Anti Shedding Technology Make the hair to be Silky and Tangle Free. She has human hair. Hair is longer on one side and the shorter side also has partial bangs. Unprocessed hair has never been colored. Mount (if shown) is not included. This includes 10 large swatches of the 10 different levels of human hair. 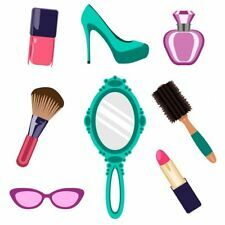 Feel confident buying from Instant Kinosaki -. Harlem 125. Still a beautiful piece! I am not an expert on anything I buy. I try the best I can to describe the item as I see it. I am as honest as I possibly can be. If I have tested an item and it works I will note that. FLESH TONED FIBERGLASS HEAD HAIR WIG MANNEQUIN. FIBERGLASS CONSTRUCTION, SHE IS. NOT INCLUDED YET IS SHOWN SIMPLY TO GIVE YOU AN IDEA OF WHAT SHE WILL LOOK LIKE WITH HAIR. PERFECT FOR A WIG, TO DISPLAY JEWELRY OR FOR A BEAUTY SALON. Mannequin Tripod Holder With Carry Bag. Material: 100% real hair. We are a factory who manufactured the manikins, wigs and have more than 15 years of experience in this sector. 22"-24" LONG FOR STRAIGHTEN, CURL, CUTTING, SETTING. NOT MARCEL OR DYEING. Still can be used to cut styles and use clippers on to make short styles if using for course work. Hair tools Eco neck brush- new. Very Exciting! You can Also Split Strands To Get More Volums or Thicker Hair If You Need.Great Hair for the Deals! Hair Material :Low Temperature fiber snythetic hair,feels very soft similar to the touch and feel of human hair longer you wear,the natural looking it will seem to be like. Rest assured that your confidential information will remain as such, confidential and secured from unauthorized use. You agree to receive communications from us via your account as well. We are here to help you with anything. This life size head is made by Marianna. It’s nice and clean. Lisa Massage Training Head -Massage head with shoulders & back strap HAIRART 16"